After hanging in the shed for months while the kayak took center stage, the final coats of varnish are going on our pram Gigi. She is decidedly an Eastport Pram in hull form and sail, but in all other respects she’s influenced by the Nutshell pram by Joel White. Ultimately she will likely be 6-8 pounds heavier. I hope to take some pics of her in the backyard rigged, or better yet, sitting atop the water soon. Before Luna was in the picture, the dinghy was to be painted the sky blue used on Una. Now that her role will be mostly as a tender to Luna, she is painted “white” to match Luna with Petit Easypoxy and her inside is the tinted “blue” of Una’s interior. 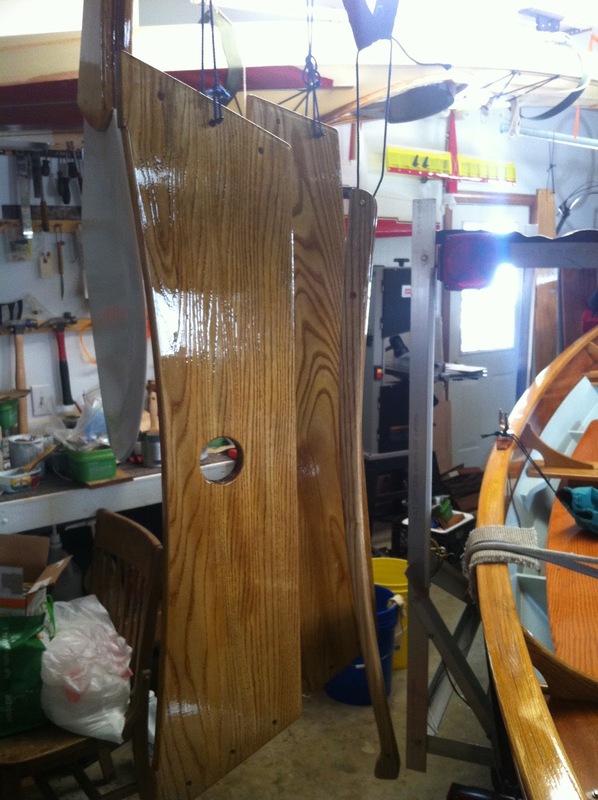 Rudder, thwarts, tiller and dagger board drying. 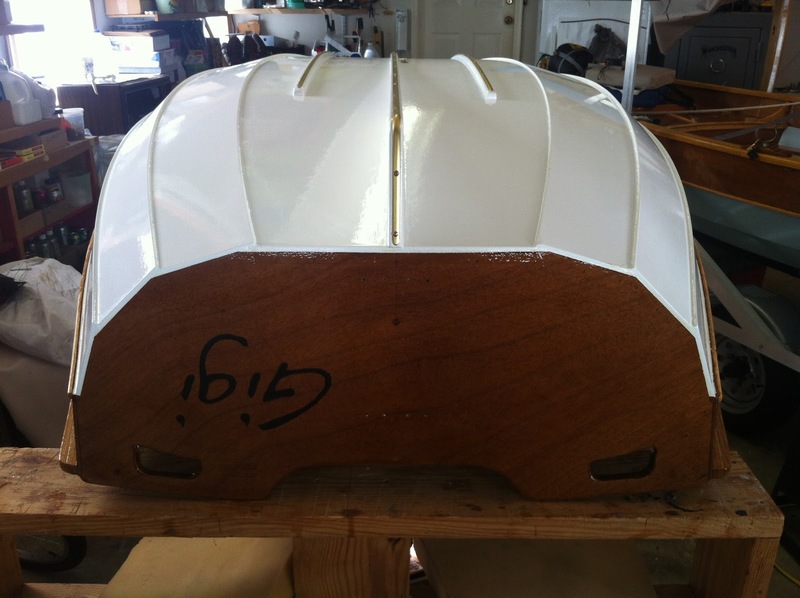 Transom view. Brass on rub strakes and keel. Dagger board is offset to port. As much as can be said of RIB’s (rigid inflatable boats), there simply is no comparison to the rowing and sailing this little dinghy will be capable of doing. After a good day of cruising to a nice anchorage, sometimes a sunset sail further up the same creek can be a whole other perspective. 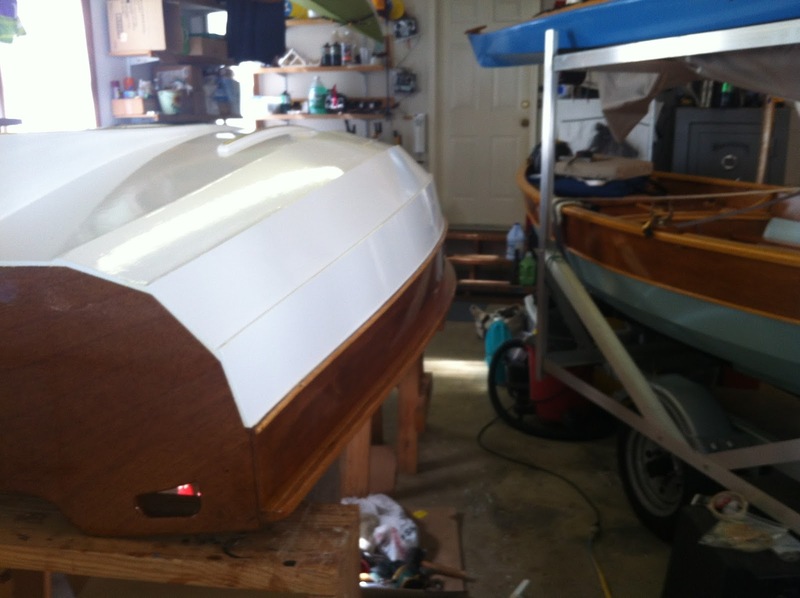 More detail shots as she is rigged or splashed later this week. Ciao!